When I started Mimi's Kitchen, I found that joining cooking and baking groups was a good way to get going. I made new friends from some fabulous blogs, found lots of new recipes, and am still learning tips and improving upon my food photography. 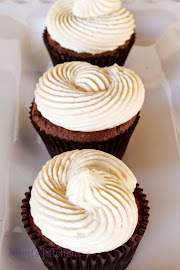 However, after a while, I realized that I was essentially just looking at hundreds of the same cupcakes, cookies, or ice cream each week as everyone from the group posts the same recipe. 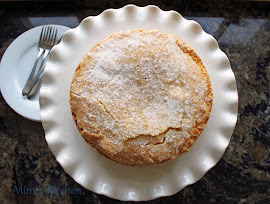 It is always interesting to see other peoples' pictures and read about recipe problems/suggestions, but not super exciting as far as variety goes. 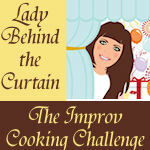 Sometime in September Sheryl invited me to participate in The Improv Cooking Challenge, which is a monthly ingredient-based challenge created by Sheryl at The Lady Behind the Curtain. Each month, Sheryl selects two ingredients and each participant comes up with a recipe using those ingredients. To learn more about the challenge head on over Sheryl's blog. 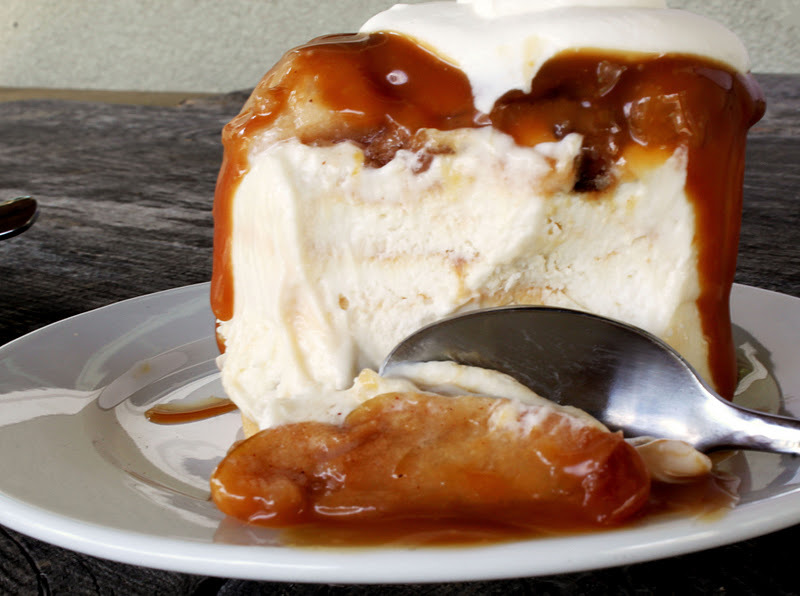 For October, she challenged everyone to use apples and caramel to create a unique and tasty dish. 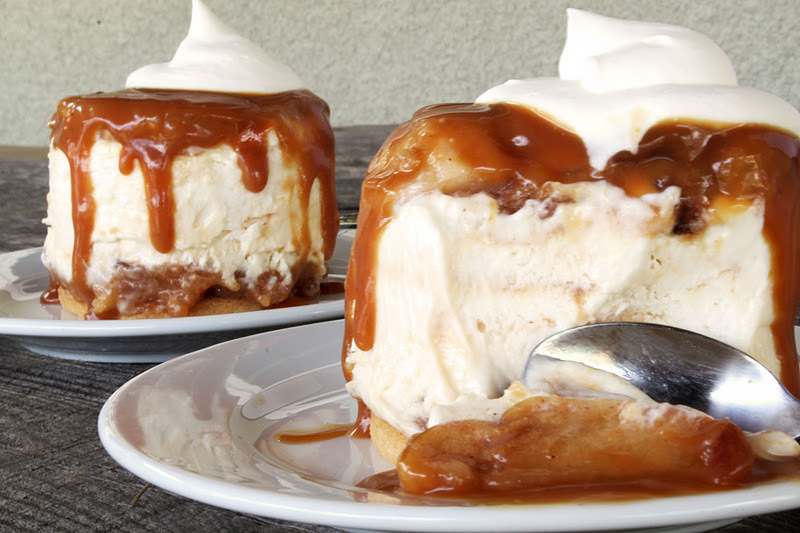 We decided to put several things we love into one recipe- apples, caramel, cheesecake, and mousse. Each part of this dessert is easy to make and delicious on its own, but when combined they make a spectacular autumn dessert. 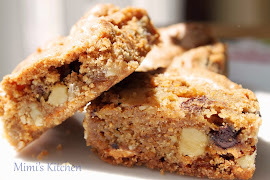 We borrowed from several recipes that we enjoy; from the Daring Bakers' Tian recipe, we borrowed both the technique and sable cookie base. 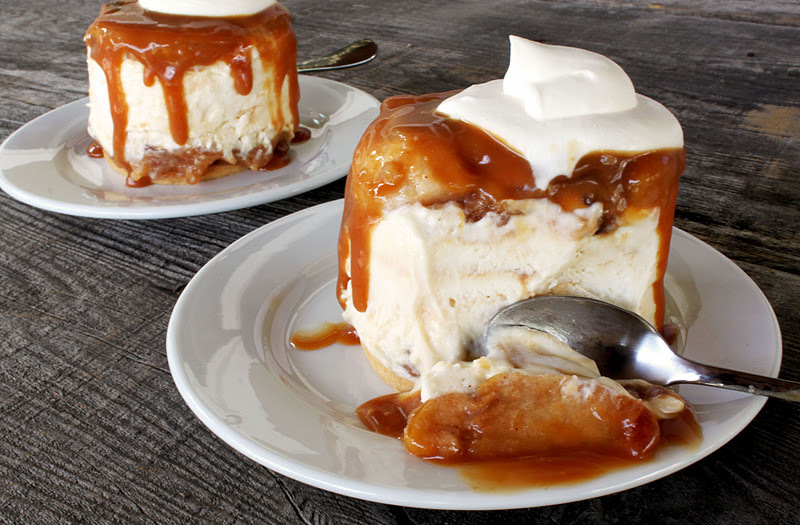 From Julia Child's The Way to Cook, we used the baked apples and caramel sauce. 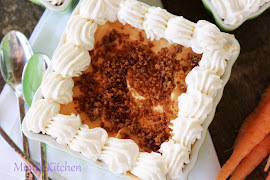 The filling was our take on a cream cheese mousse, which was cream cheese whipped until light and fluffy and lightened even further by folding in whipped cream. 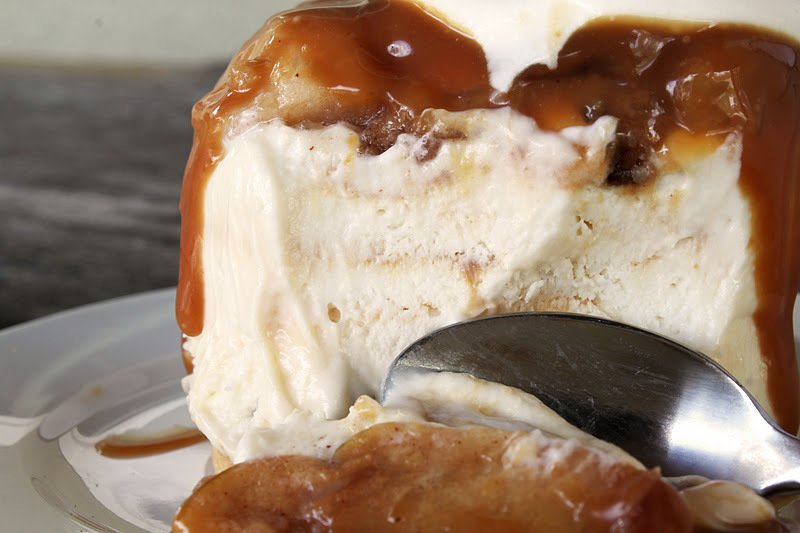 A swirl of caramel sauce brings it all together. The assembly follows the tian method, by layering the dessert upside down in either a ring mold or 6 wells of a removable bottom muffin tin. 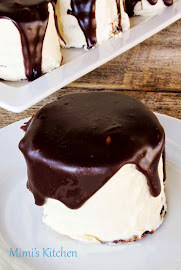 This is a great dessert for parties, because it can all be made a day a head of time, and has a beautiful plated presentation. Put the flour, baking powder, ice cold cubed butter and salt in a food processor fitted with a steel blade. Pulse until the butter is in pea sized chunks. 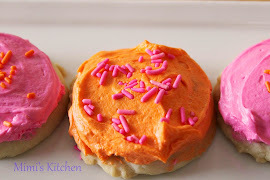 Using your cookie cutter the same size as your mold, cut out cookies and place on a parchment (or silicone) lined baking sheet. Bake for 20 minutes or until the cookies are just golden. Pre heat the oven to 375degrees F.
Peel, core, and slice apples. They should be 1/2 inch wide at the outside edge. Toss in a bowl first with the sugar mixture, then with the lemon juice and finally with the melted butter. Let sit 3-4 minutes to render juices and absorb flavor. Taste, and fold in a little more sugar if needed. Turn apples into a greased 9x13 baking dish and bake in the middle level of the oven for 30 to 40 minutes, basting occasionally, until the apples slices are thoroughly tender, but hold their shape; they should color lightly and juice should have reduced to a thick syrup. If the juices have not reduced pour them off in a small saucepan and boil down to a thick syrup and pour back over the apples. Blend the sugar and water in a 1 ½ qt sauce pan and bring to a simmer, brushing the sugar from the sides of the pan with a pastry brush and water. Remove from heat and swirl the pan by the handle to make sure all of the sugar has dissolved and the liquid is perfectly clear. Return pan to moderately high heat; cover and boil for several minutes. After a minute or so peek at syrup, when the bubbles are thick uncover the pan. Continue boiling, swirling the pan by the handle until the syrup begins to color. When it is a light caramel color remove from the heat and continue swirling and the color will darken more. To stop cooking place bottom of the pan in cool water. Slowly add the cream, which will congeal the caramel. Return pan to low heat and simmer, stirring until the caramel dissolves. Remove from heat; stir in vanilla and salt. Use warm or cooled. Refrigerated in a covered jar, the sauce will keep for weeks. In a medium bowl whip the cream to soft peaks with 1 tablespoon sugar and the vanilla. Set aside. Whip the cream cheese and remaining sugar until light and fluffy. Gently fold in the whipped cream until thoroughly incorporated. Drizzle the caramel sauce over the mixture and fold in, leaving streaks of caramel in the mixture. Make sure you have some room in your freezer. 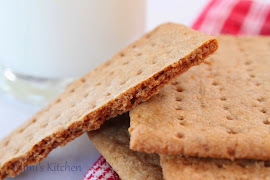 Line a small tray or baking sheet with parchment paper or a silicone sheet. Lay out 6 ring molds onto the parchment paper/silicone. 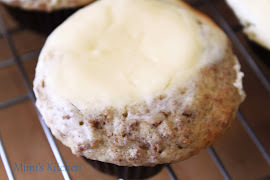 I used a 6 well removable bottom muffin tin.Have the apples, cream cheese mixture, and baked cookies ready to use. Arrange the apple slices at the bottom of each mold. Make sure the segments all touch either and that there are no gaps. Make sure they fit snuggly and look pretty as they will end up being the top of the dessert. Once you have neatly arranged one layer of apple slices at the bottom of each mold, add a couple spoonfuls of cream cheese and gently spread it so that it fills the mold in an even layer. Leave about 1/2 inch at the top so there is room for apples and the cookie. Carefully add a layer of apples and place a cookie over each mold . Gently press on the cookie to make sure the dessert is compact. Place the desserts to set in the freezer to set for at least 10 minutes, or up to 2 days. Using a small knife, gently go around the edges of the mold to make sure the dessert will be easy to unmold. Gently place your serving plate on top of a dessert (on top of the cookie) and turn the plate over. Gently remove the ring mold. 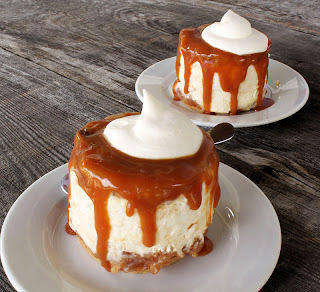 When using the tin after running the knife around the edge, just push up from the bottom and invert on to your serving plate.If frozen alllow to come to room temperature before topping with remaining caramel sauce and a dollop of whipped cream. Thank You Sheryl for putting together The Improv Cooking Challenge. We are looking forward to November's challenge!